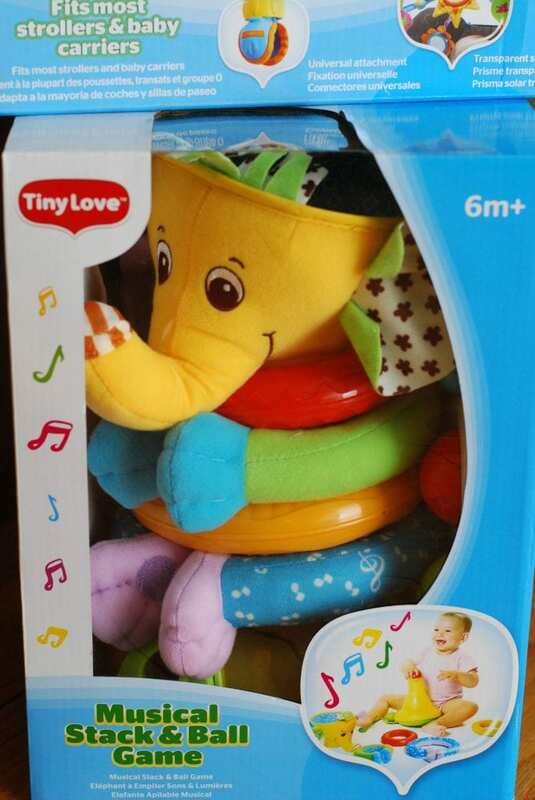 I am really excited to kick off my Holiday Gift Guide with one of my favorite toy companies for babies and toddlers, Tiny Love. 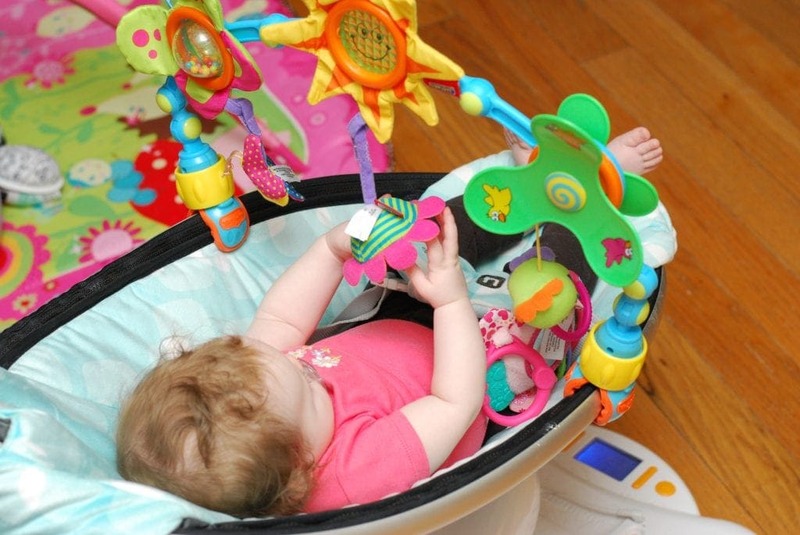 If you missed my review of the Tiny Princess Gymini Move ‘n Play be sure to check it out. Caroline loves her play mat. I don’t know what we would do without it! Another one of her favorite toys is the Sunny Stroll. This arch is amazing! We love how we can attach it to several of Caroline’s baby gear. 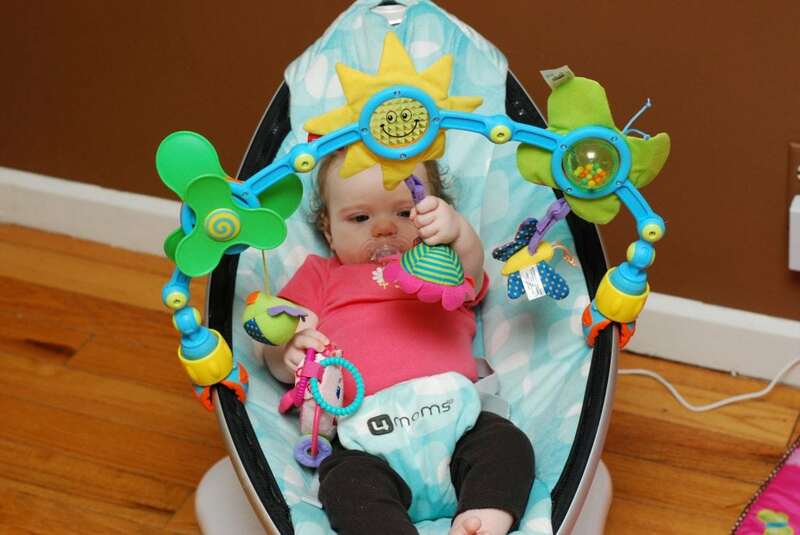 Not only will it work with her car seat, but it attaches to her MamaRoo and her stroller as well! She loves pulling on the ball and watching the spinner spin around! She also loves pulling on the hanging toys. It is so much fun watching her grab for things and try to pull them off! I highly recommend this product for babies. It is so adaptable and the hooks will work on so many of the products that parents already own, it is very versatile. 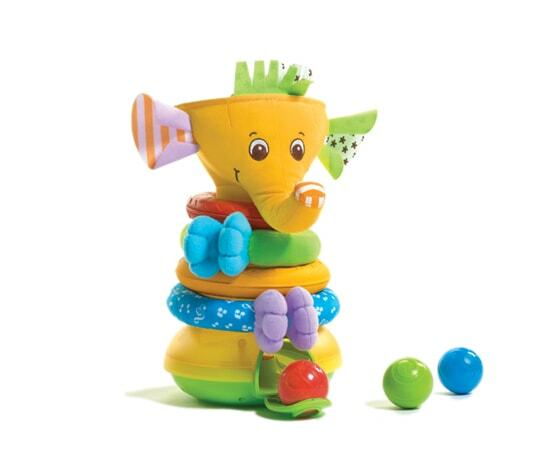 Another product we love is the Musical Stack & Ball Game Elephant. Caroline hasn’t played much with this one yet as she hasn’t learned how to sit up without help, but I love the balls and I know in a couple of weeks she is going to have fun putting those balls inside of the elephant! I love that this toy has multiple functions and games to play. Toys like this are perfect because the stamina will improve greatly if there are multiple ways to play. Not only is there balls that come out of it, but Caroline can also stack the rings on the toy. I remember having a ring stacker for Jonah and he loved it. It also makes noises, both of my kids love toys with sounds. Do you have a little one to buy toys for this holiday season? Here is a chance to win one of these two toys for yourself! One (1) lucky reader will win their choice of either the Sunny Stroll or the Musical Stack & Ball Game Elephant from Tiny Love. Giveaway open to US and Canadian residents only. Tiny Love is providing the prizes for this program at no cost to me and has provided me with the featured products for this review, I didn’t receive any compensation for writing this article. All opinions are 100% mine! I like the “Jumpy ” toy. I like all of the clip on toys – especially Heidi Hedgehog! I really like follow me fred! I like the Jumpy toy! The Musical Stack & Ball Game is my favorite! I love the Tummy-Time Fun: Ladybug. I like the Follow Me Fiona Toy!